Should the MCU go West? Also, horseshoe magnets! With an "appearance" of Kid Colt on "Agent Carter," should the Marvel Cinematic Universe make a Western? Kid Colt was played by the same guy who did Captain America's voice on the "Captain America Adventure Hour." 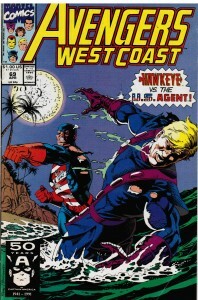 Here's a link to Screen Rant and a look at when the West Coast Avengers visited the Wild West. 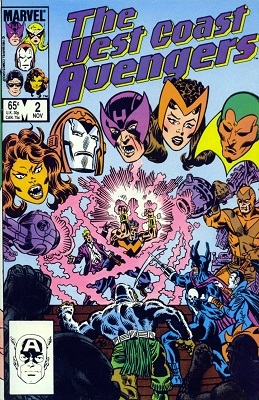 The panels with Tigra from issues one through four of West Coast Avengers volume II, published by Marvel in 1985. 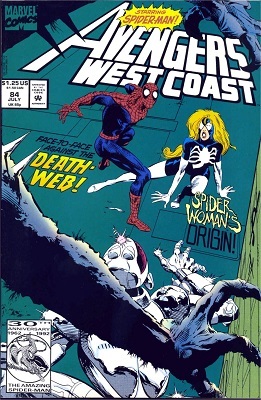 Steve Englehart wrote it, Al Milgrom did breakdowns, Joe Sinnott the finishes on 1, 3, and 4, Kim DeMulder finishes on 2. 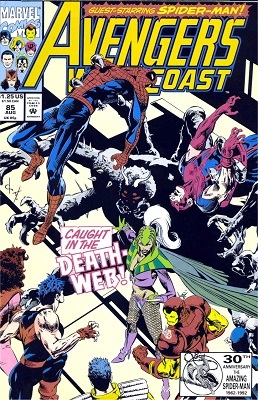 Lettering and coloring was by a rotating team of Bullpen regulars; this was a product of mid-80s Marvel house style; Mark Gruenwald was editor and Jim Shooter editor-in-chief. Issue one was 40 pages, the others 24. These excerpts come to quite a bit less than a third of that.